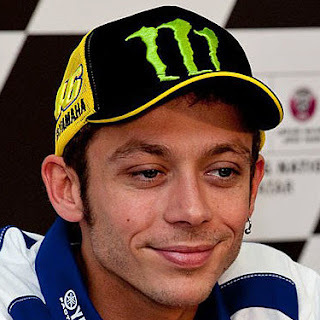 Chatter problems end Valentino Rossi’s work schedule early at the Shell Advance Malaysia Motorcycle Grand Prix. Entering the Malaysian GP weekend with a chance of taking the title, Valentino Rossi began the weekend with the same diligent work ethic. He and his Movistar Yamaha team spent the majority of the opening day understanding the hard tyre before trying a wider variety of rubber in the afternoon session. Unfortunately chatter with the softer tyre on his final exit saw ‘The Doctor’ unable to improve on his morning time of 2’00.915. 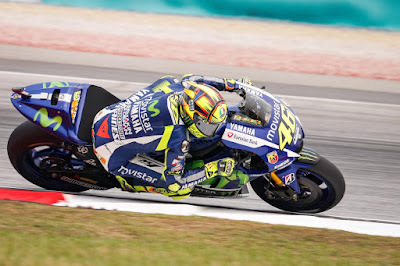 He still ended the day fifth on combined times, but was 0.669s shy of teammate and title rival Jorge Lorenzo. The weekend got off to an eventful start for Rossi who was upset with how Marc Marquez (Repsol Honda) had behaved during the Australian GP, Sunday will be the ultimate test for both riders. There’s still significant work to do for Rossi and crew on Saturday as they continue to assess their level on the medium tyres and begin to look towards the 15 minute Qualifying shootout. Many of the riders involved in the titanic Phillip Island clash are again showing great potential in Sepang as the top nine were within a second, the race shaping up to be another hard fought affair. However, the main goal for Saturday is to understand what caused the chatter, if it was the bike or simply the tyres. Rain is predicted to fall at some point on Saturday, which may cause the best laid plans to be thrown away. Valentino Rossi: “This morning we had a good pace and in the afternoon we worked well until the last time we exited the box. We used a hard tyre to get an understanding of our capabilities, but unfortunately we didn‘t finish our work, because when we put on the softer tyre I had some problems with chatter and was not able to understand my potential. We will have to wait for tomorrow morning to also see what our level is with the medium tyres. It‘s too early to say if this will affect qualifying. The most important thing tomorrow will be to understand if it was the bike or the tyre that created too much vibration, but we still have another set of tyres, so we can manage.